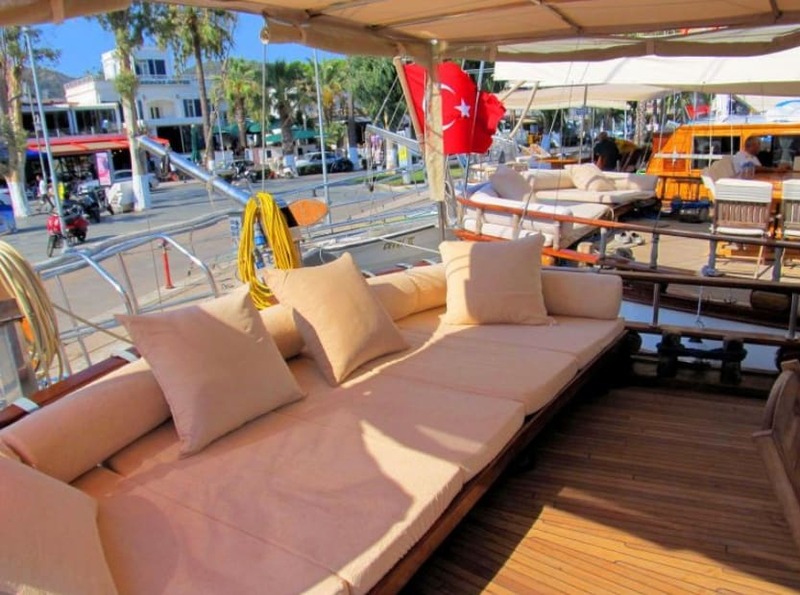 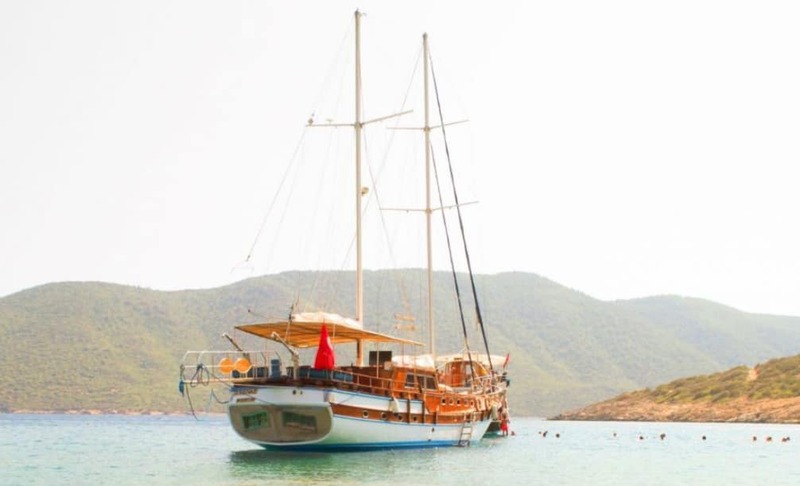 The 'Sudenaz' is a luxurious gulet, available for charter from Bodrum on the south-west coast of Turkey. 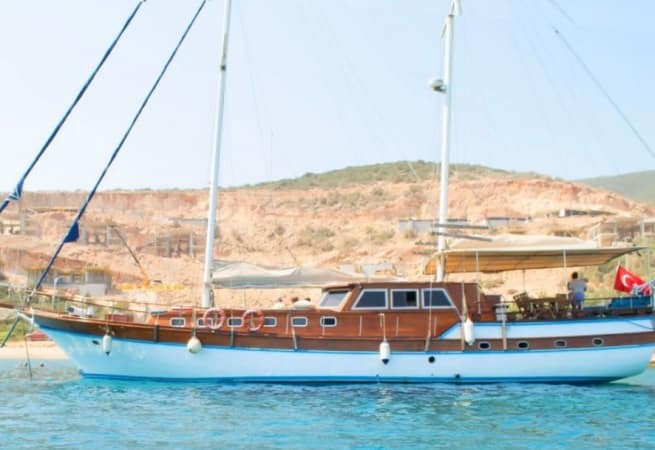 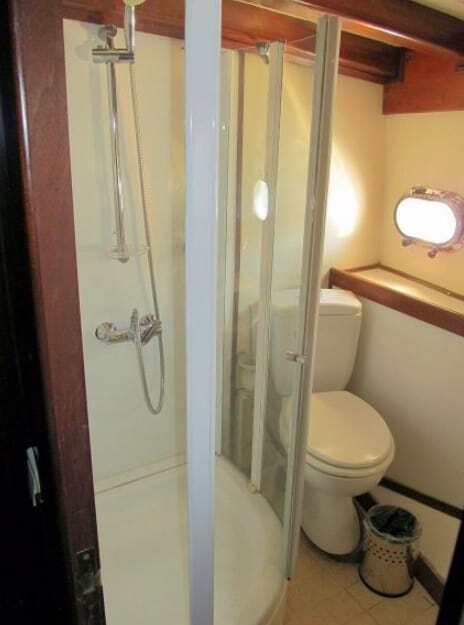 She was built in 2003 and extensively refitted to modern standards in 2018. 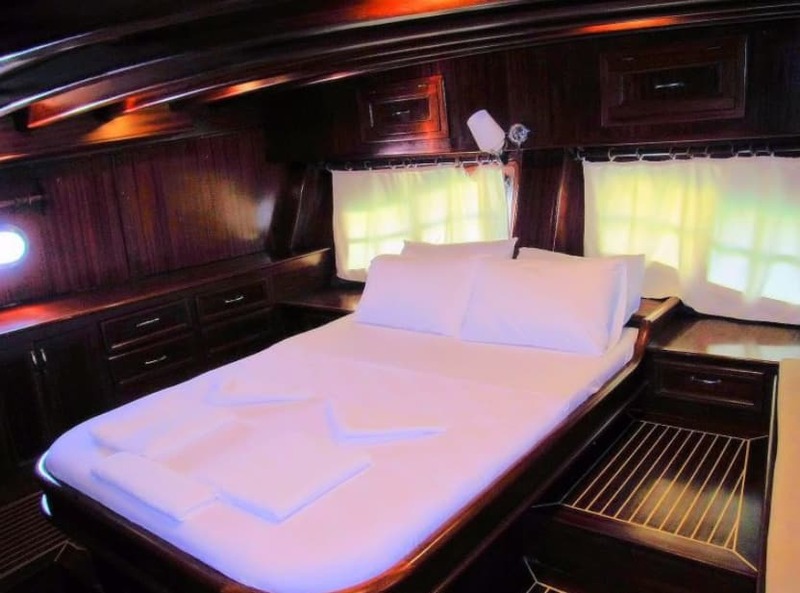 She comes with 4 dedicated and experienced crew. 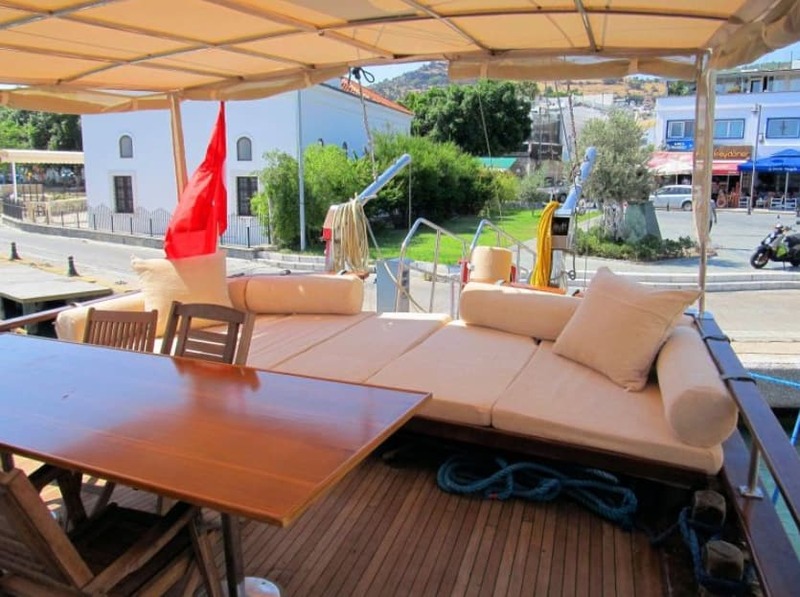 Prices start from €10,500 per week (£9459 as of 03/09/2018) during May and October, €12,000 per week (£10,811) during June and September, and €14,000 per week (£12,612) during July and August. 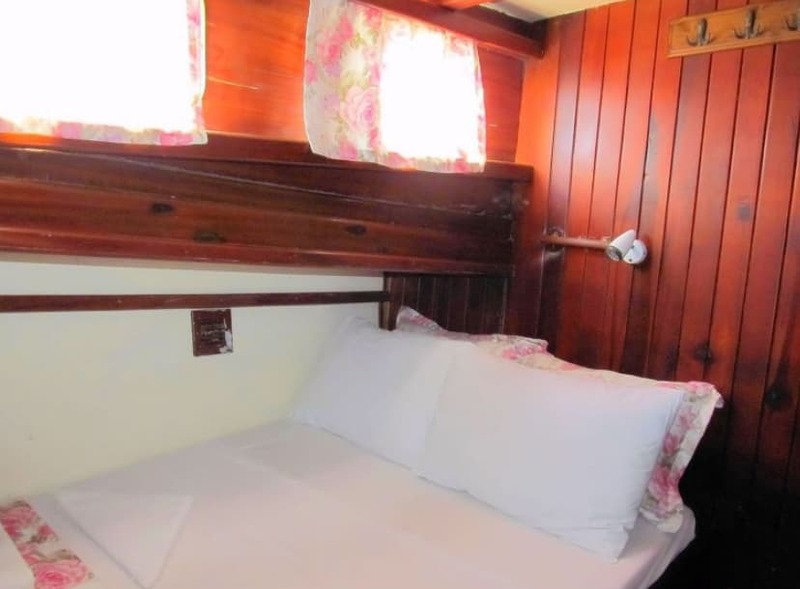 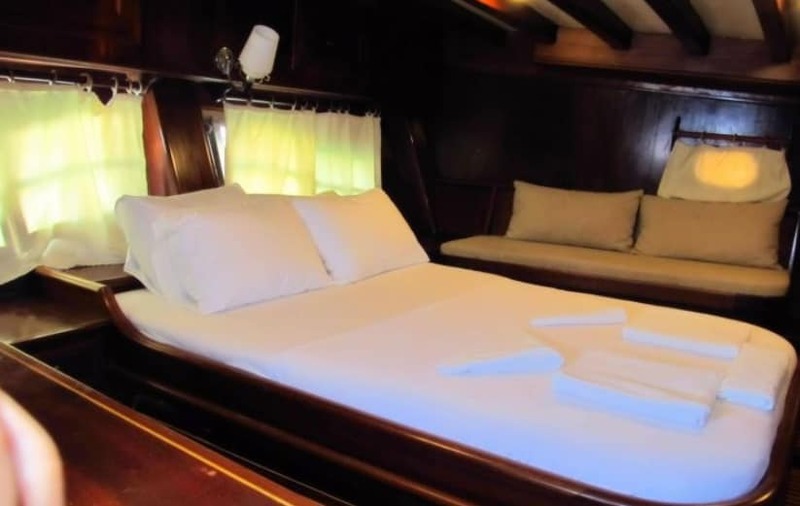 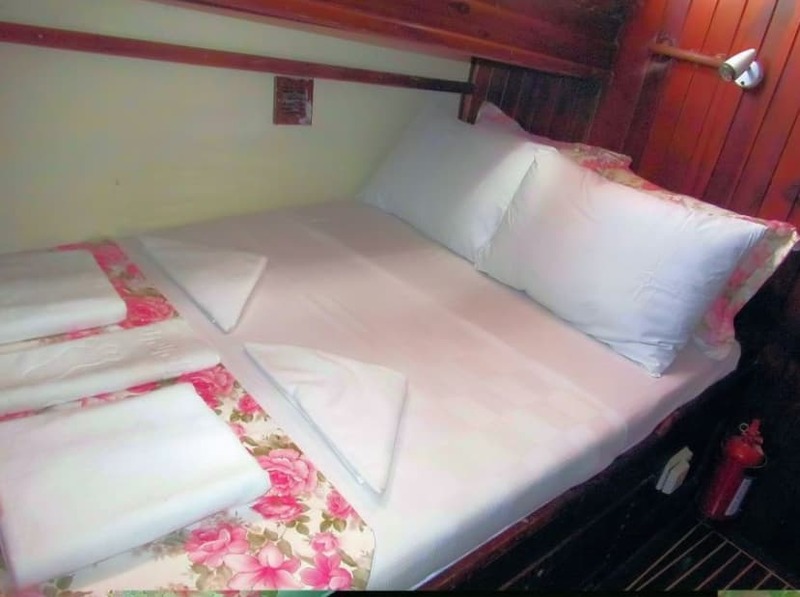 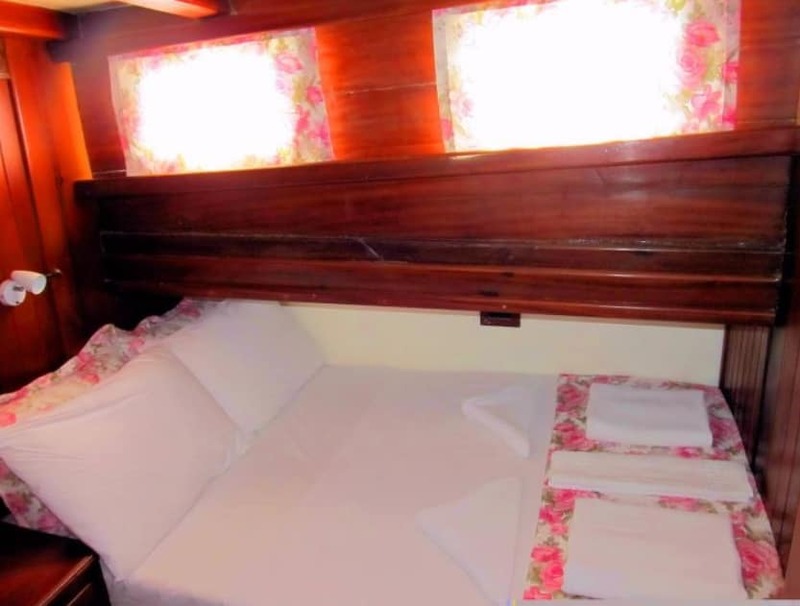 Sleeping arrangements consist of a master stateroom and a further four double cabins, all of which come with ensuite facilities and full air conditioning. 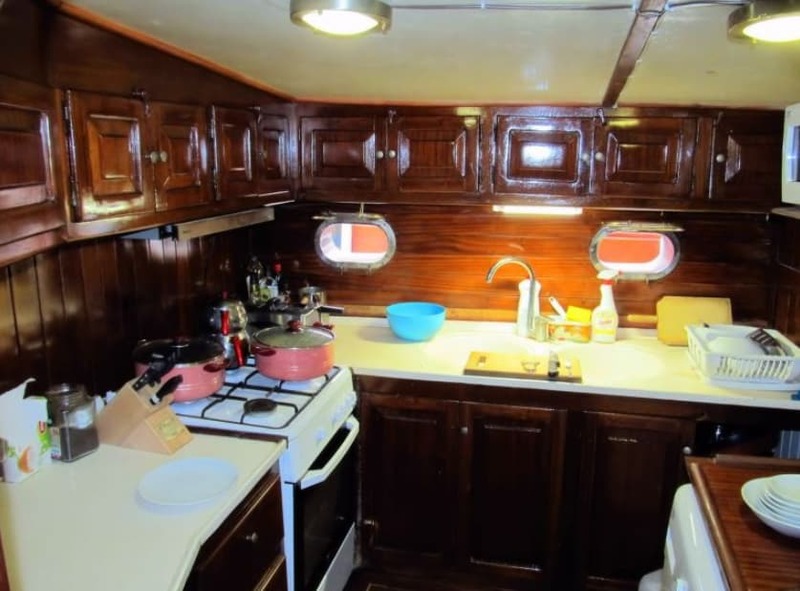 The 'Sudenaz' comes with a generator, a TV, a DVD player, a CD player and a radio for your enjoyment. 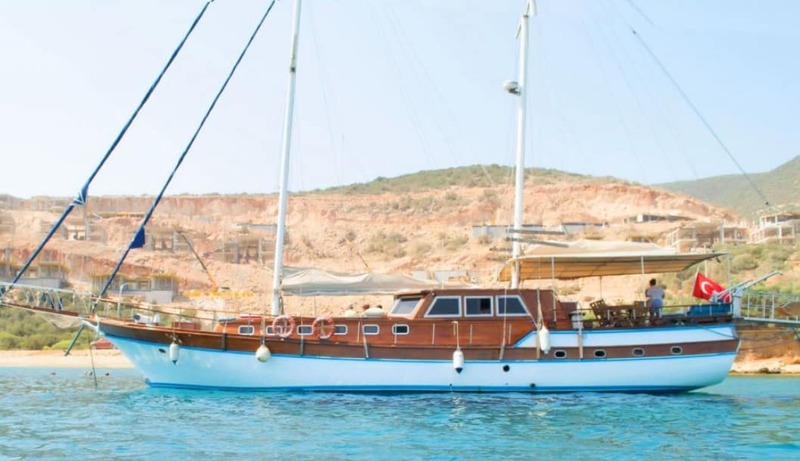 She cruises at 10kn under sail, and has a 320hp engine for when the wind fails. 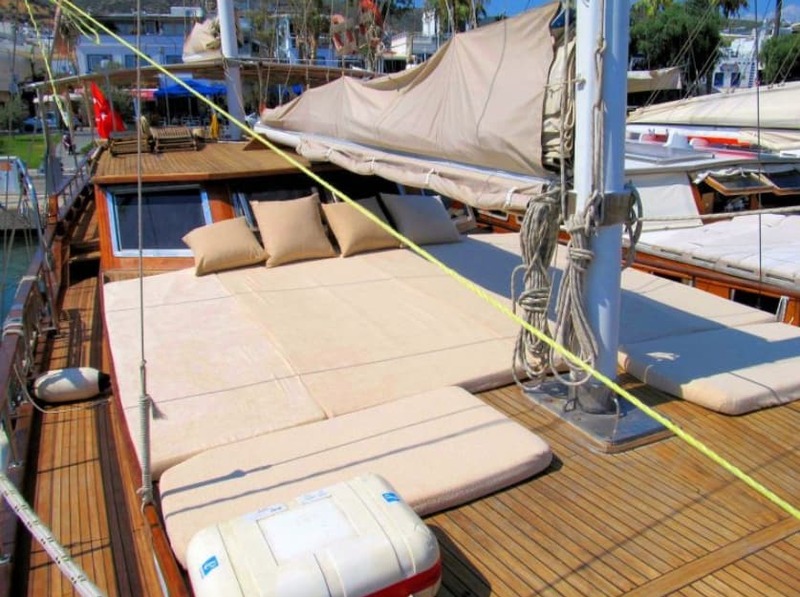 A dinghy tender is also available.